One of Hungary’s most prominent pollsters and research firms, Medián (commissioned by Robert Bosch Kft. ), published some insightful statistics today, on how transportation and the role of cars in the lives of ordinary citizens is changing in Hungary. Anyone who has been to Budapest (I just returned from a three week trip) can tell you that driving in the city centre, along the perpetually congested ring road, down Rákóczi út or across the bridges, can be positively nightmarish. In contrast, the trams–which run at speeds of fifty kilometres per hour, or the four metro lines–offer a relatively reliable, if crowded, option. Trams at Budapest’s Széll Kálmán tér (formerly Moszkva tér) in June 2016. 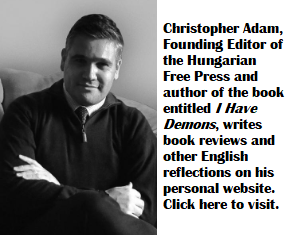 Photo: Christopher Adam. In a study released today, Medián discovered that most cohorts of Hungarians are buying fewer cars, but the most significant decrease in car ownership is among Hungarians with the highest level of education, and this is especially true in the capital. The proportion of Budapest residents who own at least one car dropped by a significant 9%, compared to the last study conducted in 2009. Nationally, 44% of Hungarian households own at least one car, representing a 1% decrease from 2009. Only 5% of households have more than one vehicle. But while in 2008, 66% of Hungarians with a university degree owned a car, this proportion has fallen to 62%. In the case of Hungarian with a high school diploma, this proportion decreased from 54% to 53%, and those who did not complete high school, but learned a trade also saw a decrease in car ownership (45% to 42%). Younger generations of Hungarians (and those with the highest education levels) seem to be using alternative forms of transportation the most. For instance, car ownership between those who are 30 and 39 years of age dropped from 57% in 2010 to 51% in 2016. The only demographic group where car ownership has seen a marked increase is those over sixty years of age, from just 20% in 2008 to 30% in 2016. 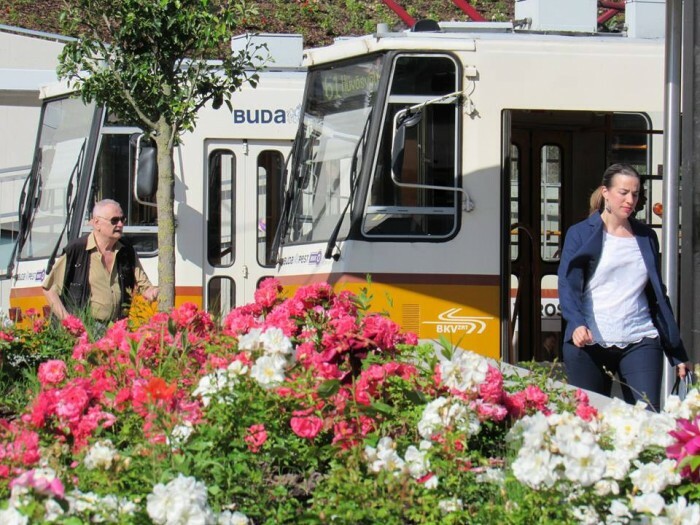 Part of this trend undoubtedly has to do with a growing use of bicycles in Budapest, especially among younger Hungarians, and perhaps also the expansion of public transit to include the new, and much awaited M4 metro line, as well as an improved tram network in Budapest. Environmental considerations are a factor too, especially among the more educated Hungarians. But at least one figure suggests that financial realities and belt-tightening may play a role as well in the move away from car ownership–Hungarians are driving older cars than before, with the average age of automobiles in Hungary now reaching over 13 years, compared to just 10 years in 2008. I am living in Budapest right now and I do not own the car. I went to university and have a four-year degree in psychology. I’m an OutDoor Café and restaurant rat & avocation is talking & meeting new people. FYI the last 7 of 10 people that I met here did not own automobiles. I believe this trend is important. Back home in America I do not own a car either (6 months in Europe in six months in the USA I spend ). It is very odd for most Americans do nothing for that I met did not own automobiles. Back home in America I do not own a car either. It is very odd an American to not own a car but I am retired and can use my bicycle or motorcycle for 90% of what I need there – not to mention my use of a Uber. I experienced the same thing in Budapest. Anyone I met of my generation (I am 35) came to meet me by metro, tram, bus or bike. In Budapest, I felt that having a car is actually a hindrance or a disadvantage, most of the time. The only time I rented a vehicle was when I travelled to rural Hungary. I fell in love with Budapest not in small part because of its public transportation. I know what you mean Miklos, when travelling around from communities around the outskirts of Budapest, not having a vehicle is hard, however, when I used to go into Pest from Halasztelek, if we drove, it would only be to Csepel, from there we used public transit as we travelled around the city much faster than by car and didn’t have to worry about parking. BTW, I have family in Szentendre too. The sad fact is that the pedestrians, the cyclist and drivers mutually hate each other, blame each other and not many seem to understand, that this is a part of culture. Everybody is selfish and don’t care of the others, reflects the attitude of the average people. The head of the Hungarian Bicycle Federation was a close friend of mine, died sadly a year ago – he was fighting all his life with many of his colleagues for peace among them with some great results, but still lot of changes are needed. Yes, it is a complicated question. The idea that bicycles are allowed only on the road, I always opposed. To me it is a message: let the fools die if they dare to ride their bicycle. Many cyclist die and get injured, many times more than pedestrians, still the cyclists are the culpits all the time.. The government build bicycle roads sporadically, where they can swallow money for it.. The system is far from being built. Miklos: Thank you for the reply. Sorry to hear about your friend. We lived in Melbourne for many years and a similar problem with aggression exists in that city. Bikes are only allowed on roads and specifically-allocated bike lanes so the hatred is mainly between cyclists and drivers because the pedestrians are not as threatened as they are in BP. In BP the cyclists are riding everywhere and some are travelling nagyon gyorsan so I understand why you say the cyclists, pedestrians and motorists hate each other. Yes it is a complicated question. But an important question that needs to be adequately answered IMHO. I think it is best answered by considering the relative speeds of travel. Bicycles travel a lot faster than a pedestrian so they should be separated from where pedestrians go. Viszont sajnos, I suspect we will have to wait until we have serious accidents before something is done. John, the tens of thousands of accidents of cyclists are not enough? The problem is, that the cyclist designated routes are few and far between. On the bridges almost impossible to cross over. At least you have to get off your bike. If you ride on the road, you have 20% chance:) to die every day. The scandal is, that even at the long reconstruction and widening of the Margit bridge a few years ago is incompetent, I could say maliciously screwed up. First they planned bicycle lanes on both side, then they changed their mind and built only one narrow lane on one side, for thousands of cyclists a day… Enough said. This is how Mr Tarlós thinks about it..
Yeah maybe they screwed up the Margit hid work, maybe there are not enough designated bike areas. But the problem remains: in BP cars go on roads, pedestrians go on the footpaths and cyclists go on both.